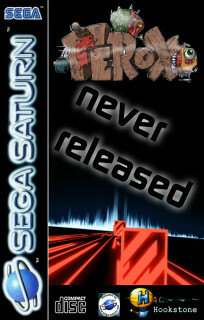 Cliff Davies (Programming): Ferox is an unreleased title for the Sega Saturn. It was developed at Hookstone Ltd. and reached the point where a fully playable demo was ready to be shown to publishers. 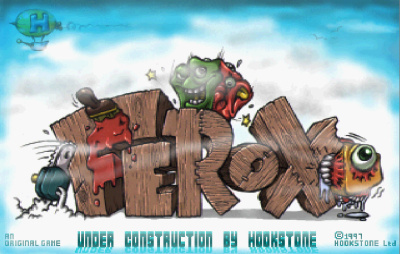 Unfortunately Hookstone closed its doors soon afterwards and Ferox never saw the light of day. The game contains no credits but they would have read as follows – “Design – Pete Tattersall; Programming – Cliff Davies; Graphics – Pete Tattersall; Sfx – Cliff Davies”. The controls are very simple. Use the D-Pad to move around and tap A, B or C to pick up or release a block. You can push like-coloured blocks around to form longer lines. Holding A, B or C down allows you to fire a block in the direction dictated by the D-Pad. You get bonuses for destroying more blocks in a single shot. As you progress through the levels new block-types will appear (speed-ups, blockers, etc.). It isn´t a final release (so might not be entirely bug-free) but does offer some excellent gameplay!